WHY ARE LIGHTS RED, AMBER AND GREEN? WHY IS THE VIRGIN MARY SO OFTEN DEPICTED IN BLUE ROBE? WHERE DID THE EQUALS SIGN ORIGINATE? WHWT ARE THE HIDDEN SYMBOLS IN MICHELANGELO'S BIRTH OF ADAM AND CARAVAGGIO'S VICTORIOUS? Everywhere we look we are surrounded by symbols. Across the globe, syimbols are to express meaning, represent identity, declare power and authority, convey clear instructions and represent ideas and concepts that can't easily be put into words. 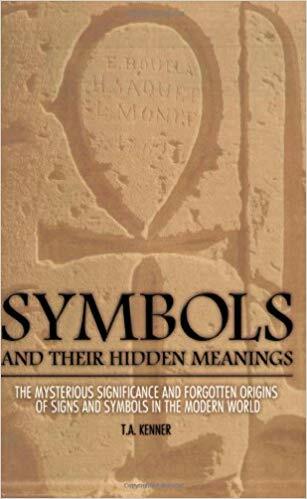 In Symbols And Their Hidden Meaning, T.A. Kenner explores both universally-recognized symbols, such as road signs, political party logos, Yin-Yang, the Grim Reaper and the Star of David and the more obscure, such as symbols in art, architecture and religion. 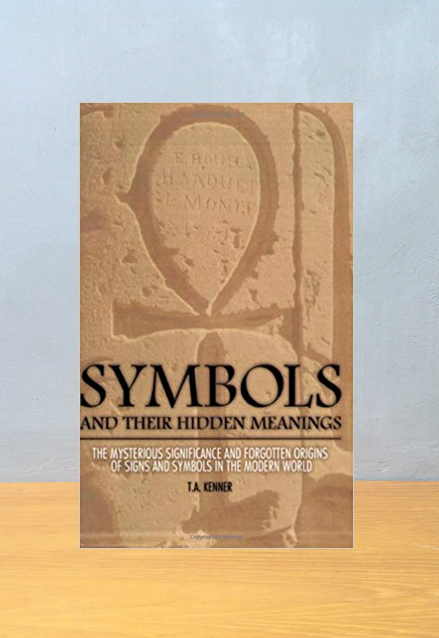 This wide-ranging study of symbolism, form ancient times to the present, will open your eyes to the many symbols hidden and overt which inform and instruct us in our everyday lives.